To celebrate the 3-year anniversary of our little adventure, we would like to offer one reader (+ a guest), a week's stay at La Maisonnette during any available week from now until August of 2014. That's right, if you win this giveaway, you can choose any week that works for your schedule, whether high season or low. After all, a week in the French countryside may require some forethought to ensure that the tranquilité of the region can be enjoyed at a time that is most convenient for you. 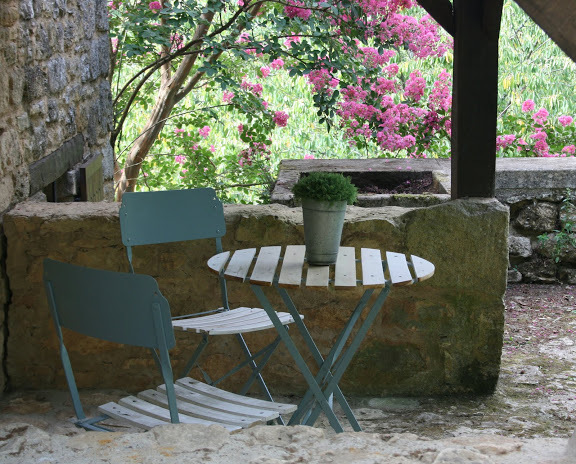 During your week's stay at the cottage, plan on doing a little reading in the garden while nibbling on a croissant from Les Delices (the amazing boulangerie/patisserie in town) smothered with homemade confiture from the outdoor market in nearby Sarlat. Visit local Dordogne Valley chateaux (there are 5 within minutes of La Maisonnette), rent a bicycle, explore the village's Medieval cobblestone paths, glide down the river in a canoe, walk along the river during Sunset and then set off to enjoy some of the best food in France (don't worry, we will send you our list of favorite restaurants!). 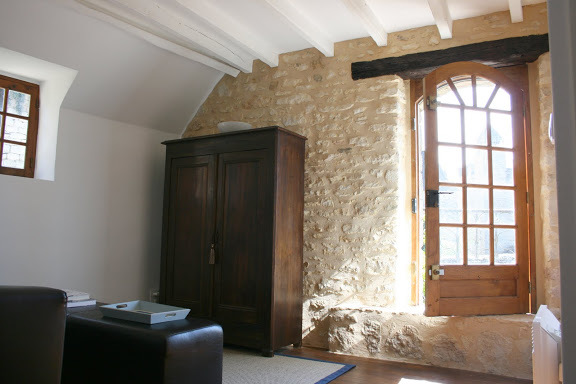 After dinner, come back to the cottage and watch one of the movies filmed right there in Beynac (you'll find Chocolat and Ever After tucked inside that armoir pictured below). This giveaway will run for two weeks (through midnight on December 3rd), and the randomly-selected winner will be announced on Wednesday, December 5th. 1. Leave a comment on this post below. 2. 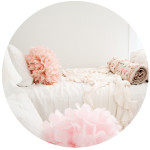 Choose an image from any past stephmodo blog post related to La Maisonnette, France or even an image from a past post that you've particularly appreciated; then pin the image to one of your Pinterest pinboards and post a link to the board on my stephmodo facebook page. 3. "Like" the relatively-new stephmodo page on FB (late adopter here!). Note: if you've already done this you are already entered in the giveaway. 4. Tweet a link to this contest page (http://www.stephmodo.com/2012/11/la-maisonnette-france-giveaway.html), and use the hashtag #stephmodolamaisonnette. 5. Post a link to this contest page on your blog; then let me know by leaving a comment and a link to your post in the comments section below. I wish you the best of luck in this giveaway and cannot wait to share our cottage with one of you at some point in the near future. Thank you again for your encouragement, support and kind words about this life-changing project! If you need a little help with #2, here are some posts including some of my favorite images of France, the area surrounding La Maisonnette, and La Maisonnette itself. Enjoy! I've been dreaming of a visit to La Maisonette! Spending a week in such a beautiful house, in such a wonderful country would be a dream come true! I've been dreaming of staying there ever since you finished your renovation. What a generous giveaway! A very generous giveaway. 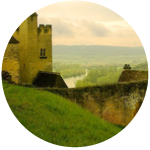 My husband and I have been dreaming of visiting the Dordogne region and this would be a dream come true. What a beautiful home! And a terrific contest, too! The chance to win a vacation in France? Yes please! Oh my goodness! I would love nothing more than to have a writer's retreat at your beautiful home with my husband. Thank you for sharing such a generous giveaway. I have been following your blog since before you started work on La Maisonette and have always loved the pictures and dreamed of visiting one day. Thanks for the chance!! It's so pretty there, we were talking about going in the summer, but I don't think finances are going to stretch that far. This is a well timed competition! A dreamy cottage in such a beautiful place! My favorite photos are of le jardin...so peaceful. Wow, what a dream! I live in Germany and would just love to go to La Maisonette. 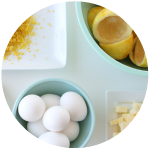 I've loved watching the transformation on your blog. Oh my goodness. I think I would die. This is just the type of vacation I need! Gulp. Count me in Steph. Wow! could do with a sojourn to france! Yay! I would love to win a week at your gorgeous place. Wow. Now THIS is my dream giveaway. A week at your beautiful place would be amazing. Incredible contest! Let the daydreams begin! Wow! This would be a dream come true! Thanks for your generosity. I would love to go! I loved seeing the progress of your renovations and could only dream of visiting it!! omgosh! How very generous of you! What a wonderful opportunity! What an amazingly generous thing to do! I would love to win and visit! Fingers crossed. What an absolutely amazing giveaway! I've never wanted to win something so bad! Fingers crossed! One day, whether or not I win this generous giveaway, I will visit this area in France. Looks gorgeous! I've loved following along as you renovated La Maisonette and have enjoyed the posts and pictures from your trips back since. Beautiful! What lucky timing. I just wrote about our charming stay last week. It would be a dream to experience it all over again. Merci! It's absolutely beautiful there! I went to Beynac once as a kid, and I actually remember getting pooped on by a bird WHILE walking along outside. I mean, honestly, how does a bird hit a moving target? Haha, anyway, despite that now-funny memory, I would totally give my left arm to go back! Oh wow, what an amazing week this would be! What a generous and lovely giveaway! My husband and I would love to celebrate our 11th anniversary in your cottage. Would love nothing more than a week in this amazing cottage! Can't imagine a more wonderful vacation for my husband and me! This would be absolutely amazing! My husband and I are in love with France and this would be such an amazing adventure! What a beautiful place to vacation! I would love to visit your cottage with my husband! I have never traveled to France, so it would be a lovely adventure! I would love it! The ideal first trip to France! oh. this would be amazing to win. I love this area of France. Oh wow, this would be awesome - thanks for offering! What a lovely and generous giveaway! Your home is absolutely beautiful! No way! Stephanie, you're amazing! Well, here's hoping! We would so love to stay a week in your home! It looks so peaceful there! Thanks for this offer! I found your blog while doing research for a trip to Seattle last spring and have been following you ever since! Thank you for sharing this amazing give away! This is the most generous giveaway ever! I've been dreaming of staying in la maisonette ever since you bought it. Fingers crossed! Oh, how I would love to win this giveaway!!!! I've been staring at La Maisonnette since you were renovating, and I'd love to go! I have drooled over La Maisonette for a while now and would love a chance to see it in person! You & Ben have created such a perfect getaway! I have followed your renovation from the beginning and it's so amazing to see how far the place has come! What an incredible giveaway! Beautiful house, beautiful view, thanks for the amazing chance! What an amazing getaway this would be! This is so nice of you....hoping to get lucky!! Oh would I love this! My husband and I planned to go to France when we both finished graduate school but we had a baby instead! That's real life for sure. We'd still love to go...here's hoping we win! A dreamy holiday in a gorgeous place - yes please. Oh I would love this! My daughter wants to go to France as her hs graduation gift. She is in french five and can't wait to use some of the language she has learned! I would absolutely LOVE to stay at La Maisonnette. Thanks for the chance Steph! This is such a beautiful space! My husband and I love vacations where we go somewhere for a week and reside - it's so refreshing. This would be a lovely opportunity to do that. How exciting! What a beautiful space to spend a week. Thanks, Steph!! Steph, if we will, will you come with us?? Beautiful home, and what a nice opportunity! What a special giveaway! I can hardly imagine a more wonderful way to spend a week. 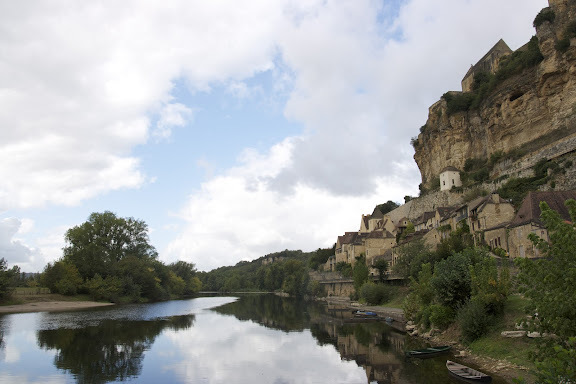 I honeymooned in Dordogne 12 years ago and only dream of returning one day. Here's to dreams coming true! What a lovely, generous offer! Looks absolutely lovely. So generous! What a wonderful giveaway! I would love to win. Wow! I would LOVE to win this very generous offer. So excited about your very generous giveaway! Everything you do is so lovely! It would be a treat to see this home in person! What a generous giveaway! I love your new blog header! It has been really cool following your adventure with this beautiful house! Thank-you! What an incredible giveaway! I have loved hearing details about la maisonette and would love to visit!! France what a dream destination! Yes please! I've loved watching you make a dream come true through La Maisonette. Hope I can see it in real life! Wow, what a giveaway! 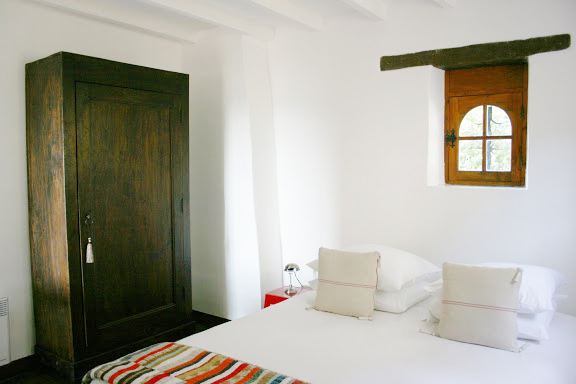 I loved watching your renovation from afar and would be thrilled to stay there! This might be a silly question, but is this all expenses paid? Flight, etc? What an amazing house! I would love to visit! Yes please! What an amazing giveaway! Thank you for sharing your remodel adventure with us. I would love to see La Maisonnette in person! Oh I would love to surprise my husband with this! Amazing and beautiful! Gorgeous! What a dream trip! Wow - this is really generous. Your remodel is gorgeous! This might be one of the best giveaways in the history of giveaways, I hope I win! I'd love to spend a week basking in the amazing-ness of La Maisonnette. And so would my husband. And here's my blog post about the giveaway! Your house in france is dreamy.....I can't even imagine a chance to go there! Lovely! Oh what a dream it would be to stay at La Maisonnette with my husband. We loved France so much on our honeymoon, I keep asking him to go back. This would be the perfect motivation to book our tickets! I've longed to return to France after a short visit in 2008, I hope I am chosen! Amazing. What an opportunity that would be! Thank you for your generosity. What an incredible giveaway! It would be amazing to visit your beautiful house! This is truly an amazing and beautiful opportunity...I hope to enjoy thi region of France with my family one day! i can only enter this way...i know, i don't tweet, blog, or facebook. what a nerd! :) so i'm gonna hope i'm lucky! what an amazing giveaway stephanie! i've so enjoyed watching you and your family and this home for the past couple of years! crossing my fingers! My husband and I would LOVE this. I think we would use it to celebrate our 13th anniversary...a very special anniversary since we were married on the 13th. A dream come true!! Thank you and good luck to everyone! Steph! This is fantastic! I don't know if you remember meeting up with me to grab a cupcake about two years ago in Seattle, but I have been a huge fan of your blog. Thanks for the chance to spend some time in your fantastic getaway! Wow! What an amazing opportunity. Thanks for sharing your home with all of us. I only have one chance with this posting, but here goes! Thank you, Steph, for your generosity! And wow, you have such a wonderful sense of style. I'm in awe of the magic you worked with La Maisonette. This place is sooo amazing and I can't believe you're giving this away! 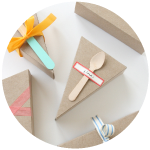 Fantastic idea and your blog is simply wonderful. Oh come on....I have been dying to visit your cottage! This would be so wonderful! This is amazing! We would LOVE LOVE LOVE this! I liked, tweeted and pinned my little heart out. I served my mission en France and am dying to take my little family back there for the first time. I loved watching your restoration process and this would be a dream come true! Wow, what an amazingly generous giveaway! Happy Thanksgiving to you and your family - hope it's a wonderful, relaxing time together. yes. please. this is what my husband and I NEED. Dreaming of a trip to France. Great giveaway. Thanks. What a dream come true! Love the styling and intricate lengths you have gone to. The finished product speaks for itself. This is perfect! What an amazing opportunity. what a lovely idea. Fingers crossed. Oh my goodness, this would be heaven! I just liked you on facebook, too! This would make a perfect babymoon for my husband and I! Happy 3 anniversary! Never gone to Europe before but I will love to go some day thanks! Beautiful transformation! Been dreaming of a visit to the French countryside and this looks perfect. Though better study up on my French! What a dream! So generous of you! Here's hoping luck is on my side! So beautiful. What a wonderful job you have done! Well done! As others have said, this is an incredibly generous giveaway. Thank you! My hubby is coming home from a deployment in January. The perfect getaway? I think so! Thanks for the chance. What an amazing giveaway - I'd love to win. Thanks so much for offering it! So dreamy! I have a friend in Alsace and would love to spend a week at your cottage with her! This is such a beautiful place - my fingers are crossed! Can't imagine a better getaway! It would be so wonderful to finally see la Maisonette in person. What a lovely giveaway! What a generous gift!!! Looks absolutely stunning!! This is so exciting and nice of you and yours! Thank you!!! I'm crossing my fingers! sign me up. I love rural France and would love to see this area. Beautiful house and amazing giveaway!!! Oh my goodness! It would be a dream came true. I cannot believe it yet, I think this is the best giveaway I have seen in blogs EVER. What a beautifully gracious giveaway! I've always wanted to visit France! Wow, this would be an amazing, once-in-lifetime trip!! What an opportunity. Oh, I already did the Facebook, Twitter and Pinterest things. 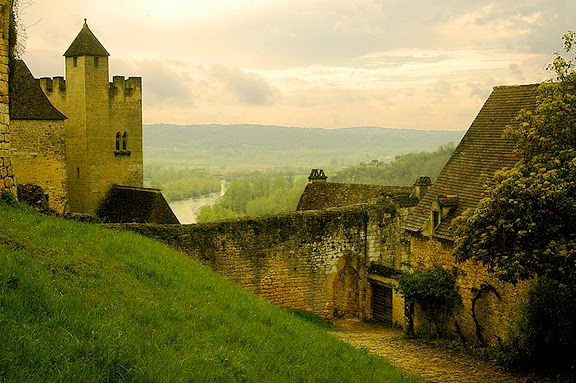 I believe the Dordogne area is the most beautiful in the world - I lived in southern France for part of college and loved this area - it feels old and magical - Cheers! 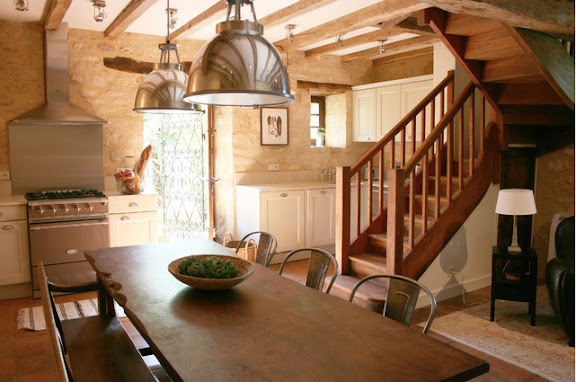 I dream of some quiet-time in the French countryside! Thanks for the amazing giveaway! This is my DREAM vacation!!! I can't even imagine it coming true. Gorgeous cottage! I was able to do #s 1-3. Thanks for helping me dream! Our 35th wedding anniversary is April 2013...what a fabulous getaway this would be. We're newlyweds (and haven't been on a honeymoon) so really would appreciate this generous getaway! Something to dream about. . . I will be in Europe for 3 weeks to celebrate my 40th birthday next year! I have not planned my itinerary yet, other than the flight there and back. Would LOVE to stay at La Maisonnette!! We need a visit to La Maisonette! What an amazing giveaway! Although this is probably the only way I can enter I am still crossing my fingers. I would love to give this as a gift to my mom and dad for all that they do for me. Heres to hoping I win.